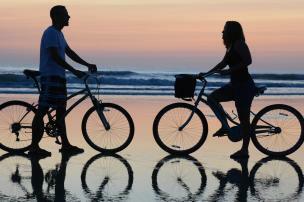 Finding accommodations is a breeze in Daytona Beach. From oceanfront hotels and condos to vacation rentals, you’ll be able to find a great value on whatever you think best suits your family. You can also choose from an array of bed and breakfasts, inns, campgrounds, and more. 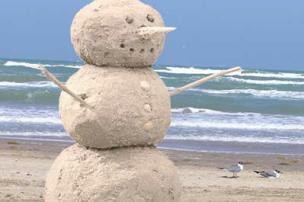 Many places offer spring break specials, especially if you book early! 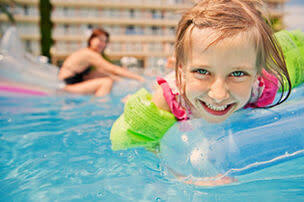 One of the best aspects of a Daytona Beach family spring break is its accessibility. Come by air in an easy Delta, American Airlines, Sunwing or Silver Airways flight — Daytona Beach International Airport is less than five miles from the beachfront, which keeps your logistical coordination requirements to a minimum. Or, if you decide to pack the car and hit the highway, you’re in for a hassle-free drive. Two major interstates — I-95 and I-4 — intersect right near Daytona Beach, making travel direct and easy for our out-of-town visitors. Other major roads leading to the area include U.S. Highway 1, U.S. Highway 92, and the scenic A1A, which runs along the Atlantic coastline. With the accessibility and ease of traveling to Daytona Beach, you’ll spend less time lugging a suitcase and more time lounging beachside. Get some face time with ocean friends: Head to Ponce Inlet for an environmental adventure at the Marine Science Center. 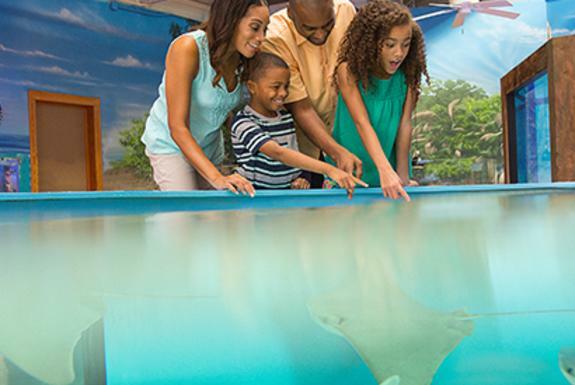 Everyone in the family will enjoy the touch tanks, educational demonstrations and sea turtle rehabilitation unit, but it’s especially fun to watch a child’s eyes light up with excitement at the touch of a stingray! Or, get a close-up look at marine life including dolphins, birds and even manatees with a paddleboard or kayak adventure. Exploring the area’s vast waterways is a great way to spend time together and stay active! 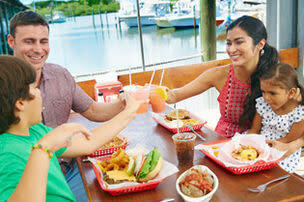 Grab your rod and reel and head to the Daytona Beach Pier, a popular local fishing spot. There’s no cost to fish on this pier, and fishing licenses are not required, making it the perfect activity to embark on last-minute. Dive into a new adventure: See Florida from a new perspective by parasailing with your family. Push fun to full throttle with a jet ski excursion. You can easily rent your watercraft here and get everything you need, including life jackets — and that makes for easy vacation packing! Or, put your inner speed demon behind the wheel for a drive at the world-famous Daytona International Speedway. The NASCAR Racing Experience has a variety of driving options suited to different ages and comfort levels, making it the perfect choice for everyone in your vacation crew. Take in a performance at any one of the area’s local theaters, or reach new heights at Ponce Inlet Lighthouse. Kids also love paying a visit to the popular children’s museum at the Museum of Arts & Sciences, where the interactive exhibits lead to endless discoveries. History and culture run deep and wide in Daytona Beach, and a week off of school shouldn’t mean the learning must stop! From exploring local parks to taking a chocolate factory tour, there are a number of free things to see and do in Daytona Beach. 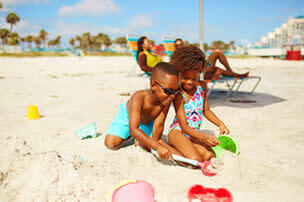 And, of course, Daytona Beach itself serves as one giant playground for all ages. Walk, run, bike, splash, play and let imaginations run wild — the expansive, white-sand beaches allow plenty of elbow room for your whole crew. 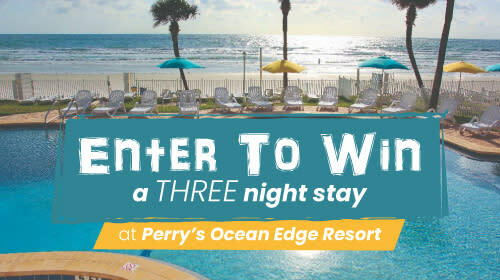 Whether splashing around water parks, bouncing around trampoline houses, paddling a kayak along the Tomoka River or puttering around local boutiques, there’s no end to the fun that awaits your whole family in Daytona Beach. And the adventures don’t stop there — check out all the things to do in Daytona Beach. Spring break is right around the corner, so don’t wait to arrange your family’s spring break trip — start planning today!